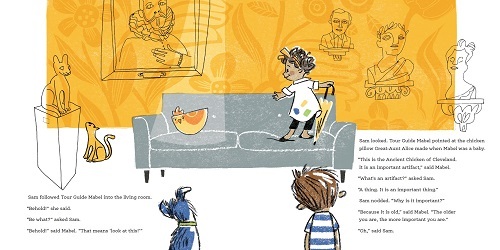 “Sam followed Tour Guide Mabel into the living room. ‘Behold!” she said. 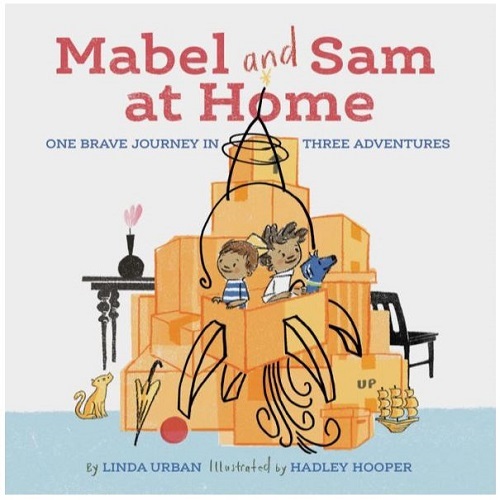 “After supper, Mabel and Sam were astronauts. ‘Blast off!’ said Astronaut Sam. ‘We blasted off a long time ago,’ said Astronaut Mabel. MABEL AND SAM AT HOME. Text copyright © 2018 by Linda Urban. 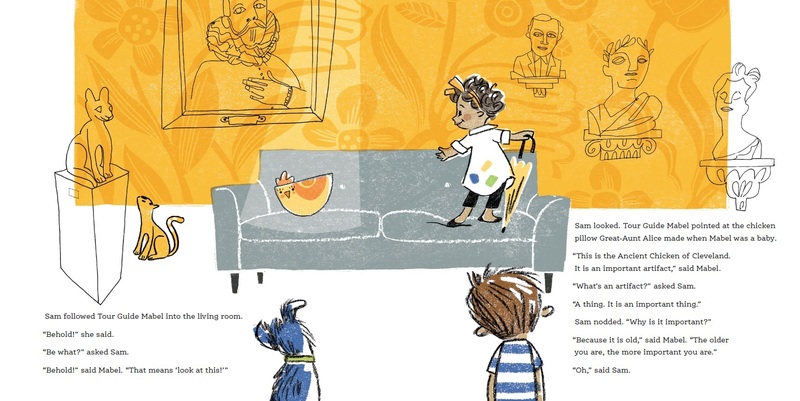 Illustrations copyright © 2018 by Hadley Hooper and reproduced by permission of the publisher, Chronicle Books, San Francisco.